The University Interfaith Council (UIC) is open to all religious groups to strengthen the rich spiritual life at UCSC, and integrate spirituality with academic life. We promote tolerance, peace, and understanding for all faiths and spiritual traditions. We sponsor celebrations, holiday events, worship/meditation, interfaith gatherings, and community service. Educational events include religious study courses, spiritual care and counseling to students, faculty and staff. The UIC works to ensure that each UCSC student has access to a caring spiritual community of friends. "The best way for any of us on the council to deal with the university is collectively. It would be easy for the U. to dismiss any one of us as nobodies and nuisances. But together we have POWER!" 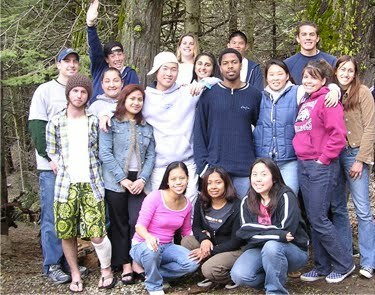 Ministry at UCSC began even before the University opened. 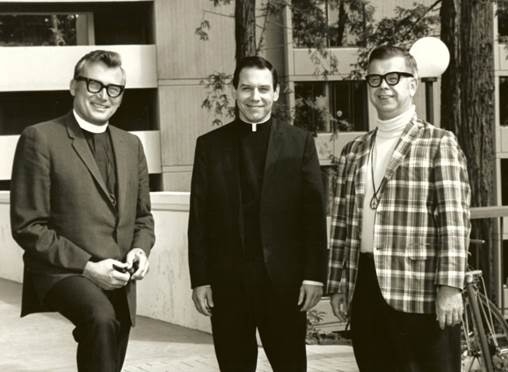 In the Spring of 1963 Chancellor Dean McHenry met with the Santa Cruz Ministerial Fellowship suggesting that the University would welcome having a University Religious Center like he experienced at UCLA. A University Religious Center Board was started with Rev. Herb Schmidt of Messiah Lutheran Church serving as President. It was officially incorporated on June 16, 1964 with participation by representatives of all the local Protestant Denominations, the Roman Catholic community, the Jewish community, and the Buddhist Church in America. A national campus ministry survey was conducted to project the short and long term needs for a religious center that eventually might serve a projected student body of more than 27,000 students. As a result of that study the University authorized Bowman and Williams, Civil Engineers, to do a feasibility study for utilities for a University Religious Center (URC) that would be located below Stevenson College. This center was never built, but Page Smith, first Provost of Cowell College provided office space for the URC in the trailers which housed the first UCSC students in 1965. The first campus Pastor was Rev. Herb Schmidt, joined by Roman Catholic Marionist, Robert Hughes, and then United Campus Christian Minister Glenn Martin. When Glenn Martin left, he was followed by Darrell Yeaney who worked very closely with the Lutheran Campus Ministry. The first faculty meetings of Cowell College were held at Messiah Lutheran Church. Pastor Schmidt was also named an Honorary Fellow of Cowell College and the campus pastors met weekly with the counseling staff and helped establish a Religious Studies program. Pastor Schmidt’s ministry was expanded in 1967 by the addition of Vicar Neal Nauman who served at Messiah Lutheran and also on Campus. 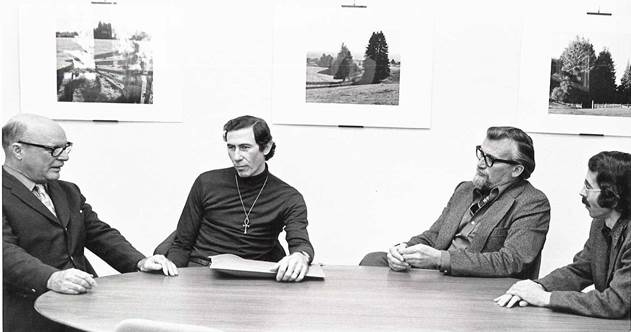 In 1968 Pastor Schmidt was called to full time campus ministry serving not only UCSC, but the local community colleges, and also as coordinator of Lutheran Campus Ministry in Northern California. Plans for developing a center continued after the University opened, but the actual student ministry became the most important focus, and the University Religious Center became known as the University Religious Council. Office space for campus ministers was provided at different places around Campus such as Cowell College, Merrill College, and the Student Health Center. In 1970 the Campus Ministers, together with a number of Faculty and community leaders, started a nonprofit corporation, University Services Agency (USA). Its first project was developing the Whole Earth Restaurant, which became a meeting place and venue for special lectures and student forums. As part of the agreement with the University, USA received the use of an office above the Whole Earth Restaurant and this became the campus ministry office. USA became the social action arm of campus ministry and soon started many affiliates which included the Campus Day Care Center, the Community Switchboard, the Youth Hostel Project, the Santa Cruz Food Project, The Group Home Society, Ecology Action and Recycling Center, and many other service organizations. Campus Ministry programs during the early years included weekly worship services. These were first held at Messiah Lutheran and in the first two years of the campus three different services were held at the same time. Roman Catholic worship was in the fellowship hall, Eastern Orthodox services in the prayer chapel, and Lutheran Services in the Sanctuary. In 1968 services began on campus. Roman Catholic worship and a joint Lutheran/UCCM worship services were held in the campus Health Center, and following that the Protestant worship was in the faculty home of Professor Noel and Evelyn King. Other ministry programs included weekly Bible study, pastoral counseling, a University Christian student fellowship group, retreats with other Lutheran campus ministries, and with the Ecumenical Christian Movement. Campus Ministers also assisted the Religious Studies program by supervising students doing independent studies, teaching class sections, supervising student taught seminars and co-sponsoring different guest lecturers and colloquia with University Boards and Divisions. One year such lecturers included William Stringfellow, Bob Bellah, Wolfhart Pannenberg, Craig Schindler, Edward Dirks, Will Herzfeld, and Dr. Hugh Noble. On April 17th, 2014, Rev. Herb Schmidt, founder of UCSC's University Interfaith Council, gives the spiritual reflection at the 50th anniversary of the dedication of the campus site to become the University of California Santa Cruz campus.